Board games are currently the most lucrative segment on Kickstarter, accounting for 41,000 projects and over $914 M in revenue. Both individuals and companies use the crowd-funding platform in their quest for fortune and glory. Meeple Mountain regularly covers Kickstarter game to help you decide if you should back them. Our reviews are also useful for gamers who missed out the first time around and are looking to pick up a copy after these games hit the market. If you’re a designer or publisher looking to run a campaign for your game, check out our article on What Makes a Great Kickstarter Campaign to help your game stand out from the crowd. Is Fleet: The Dice Game a lucrative catch, or does it get lost in the sea of roll and writes? Read our review to find out! Hanging up your hat in the untapped, uninhabited outback? What do you do next? Read our Montana review to find out. Gather your courage, manage your workforce, and go on a town-building frenzy! It was 1871. Chicago lay in ruins. And from these ruins rose a great city. Join us as we review City of the Big Shoulders and take part in the rebirth. 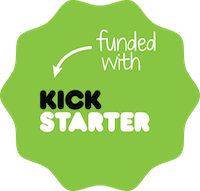 What does it take to run a campaign on Kickstarter? We talk to The Enigma Emporium and Slight Games about their experiences running their first Kickstarter campaigns. The space race is on. Use your influence to build your team of Specialists to complete various space projects. Read our Space Explorers review and join us as we set our sights on the stars. Self described as “Star Wars Rebellion in 18 Cards”, Button Shy’s newest game has a lot to live up to. Read our Liberation review to find out if it succeeds. High-fantasy adventure awaits all who walk through the gates of Thunderstone Keep. Read our review of Thunderstone Quest to discover if it is the new deck-building champion. You may have heard of the digital game, but now Barry Steakfries is strapping on his jetpack and soaring right to your tabletop. Check out our review of Jetpack Joyride to find out if this game plays just as well in analog format. The Demigod of Trees has fallen. The power vacuum needs to be filled. Find out if you’re the one to fill it in our review of Tiny Trees! Catch me if you can: _Getaway Driver_ pits cops against robbers in this two player asymmetric game. Cruise by our Getaway Driver review, coming in at 60 tiles an hour!